Do you have problems with your septic tank? 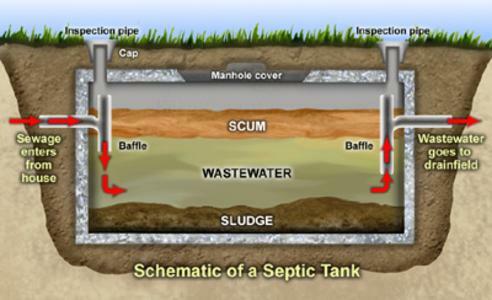 Does your septic tank need to be emptied? 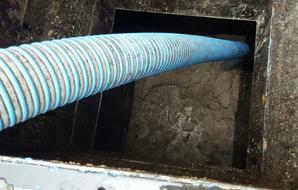 We are available to remedy septic tank problems (including emptying) in Tipperary, Cork, Limerick, Clare, Waterford, Kilkenny, Carlow, Kildare, Offaly, Laois and Galway. Emptying your Septic Tank enables your septic tank system to function correctly and it is important to have your septic tank emptied or desludged on a regular basis to prevent the buildup of solids in your tank that has the potential to cause blockages in your soakaway. We appreciate the emptying of your septic tank maybe not be the first thing on your to-do list but it is an essential one to have carried out on a regular basis to maintain a healthy free flowing septic tank system at your home or premises to avoid any unpleasant or costly surprises. With all major septic tank manufacturers and the Environment Agency recommending Septic Tank Emptying should be carried out on a yearly basis the majority of our customers take advantage of our annual, scheduled septic tank emptying service. If a septic tank is not emptied on a regular basis it can give rise to septic tank problems such as: Effluent Surfacing, Problems with effectively flushing the toilets and pollution of nearby groundwater and the environment. We are available 24 hours a day and 365 days a year. 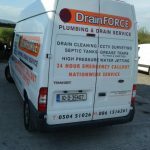 Drain Force are a licenced Tipperary septic tank cleaning company and provide septic tank emptying all over Tipperary and surrounding counties. We also empty Bio-Cycle tanks. Regular Septic Tank Maintenance and Bio-cycle Tank Maintenance will ensure that your tank operates properly. In accordance with EU Law septic tanks need to be emptied annually to prevent the pollution of groundwater and the surrounding environment and to also ensure the system works efficiently. Grants may be available for septic tanks or treatment systems that require remediation or upgrading. We can advise you if you think that your septic tank has problems and is in need of remedial action.